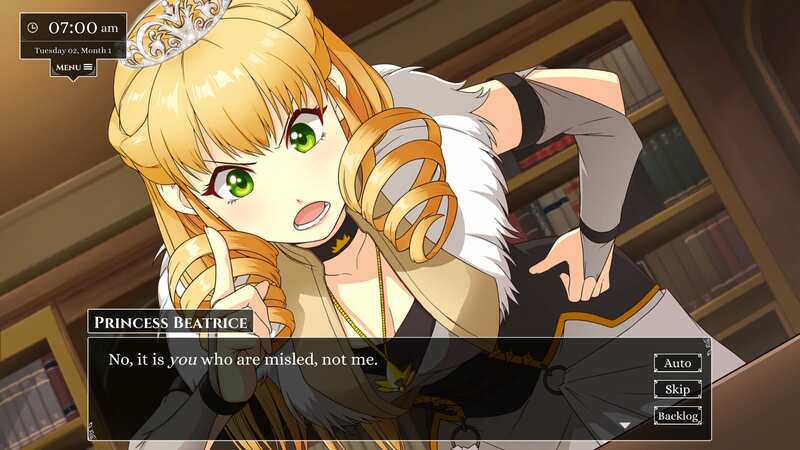 Love Esquire is an upcoming romantic-comedy visual novel and dating simulator that lets you play as an squire, which as the trailer explains, is the guy who “tries to keep his… knight alive.” Essentially, you’re a nobody. The game also implements a “nostalgic touch of old-school RPG combat.” In your kingdom, a war is approaching in four months, and you have that time to fall in love and get the girl. There are five potential ladies to choose from. You’ll be able to manage your day, raise your stats, and assist your knight in battles. Love Esquire will also feature voice acting, like The Letter. Clearly players of The Letter have been excited for the next game by Yangyang Mobile. Love Esquire met its Kickstarter goal within 21 hours. Those who pledged to the Digital Basic tier within the first 24 hours of the Kickstarter campaign were able to get a Steam key or a physical copy of Yangyang Mobile’s first game, The Letter. Essentially, backers got two games for $15. Yangyang Mobile also posted their stretch goals this morning, which includes items like CG animations, animated backgrounds, and an expansion of the game’s RPG elements. Love Esquire will be available for Linux, Mac, and PC. You can grab an alpha demo for free on its Kickstarter page, and you can check out the trailer for the game below.